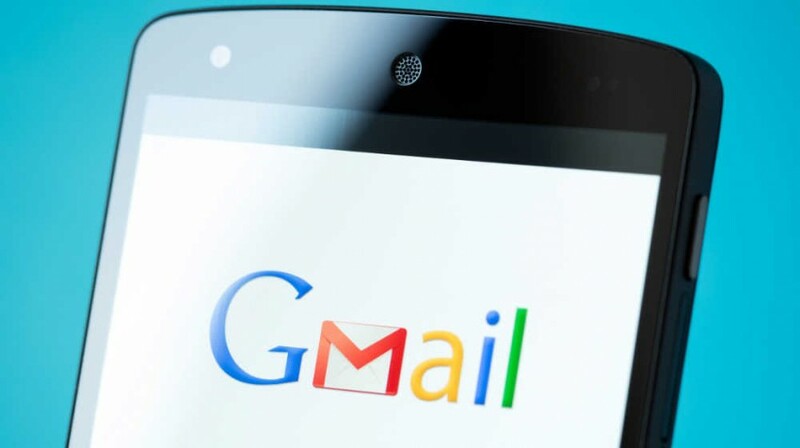 Pretty much every business owner and professional has experienced the horror of sending an email only to find moments later that it included a mistake, typo, or even the dreaded unintentional “send all.” But now there’s a new solution for Gmail users in the form of an “undo send” button. In addition, WordStream and Constant Contact and Bing and AOL announced partnerships this week that could impact small businesses. Those items top the list of headlines in this week’s Small Business Trends news and information roundup. Intra-office sniping accidentally slip into an email? Get a little too frank in an email and instantly regret hitting Send? Gmail Undo Send has been a feature on Google Labs since 2009. But Google has now officially made Undo Send a Gmail feature now giving Web users up to 30 seconds to change their minds on hitting Send. WordStream and Constant Contact are announcing a new business partnership. As part of the partnership, WordStream and Constant Contact will develop an integration that brings new customer leads collected via WordStream Advisor seamlessly into Constant Contact, letting small businesses engage with those leads without any extra steps. Bing has trumped Google with the announcement of a new Bing AOL partnership. The 10-year deal will be effective Jan. 1, 2016, with Bing powering search and search listings across the AOL portfolio of sites. Google previously held the AOL deal since the early 2000s. The company may not view being outed as a great loss. The end of support for software comes after a long period of warning from the companies selling these applications. In the case of Microsoft, it makes the announcements many years in advance, giving users ample time to make perpetrations for the migration to the latest platform. However, we are all very busy and before you know it is time to make the upgrade. Recently, Sprint introduced what the company’s calling the wireless industry’s first-ever “All-In” pricing plan. The company claims that its All-In campaign counters the wireless industry’s current way of advertising by providing one monthly price for a smartphone and unlimited talk, text and high-speed data. Fans of Microsoft’s Surface 3 might be excited to hear the company is beginning to roll-out a new 4G LTE model. But if you want to get your hands on one, you might have to wait a few weeks. Microsoft is taking its time bringing this latest model to market. The Surface 3 (4G LTE) has already been on the market in Japan through Y!Mobile for the last two weeks. Microsoft has released updates for its Surface Pro 3 devices, allowing the tablet/laptops to run the new Windows 10 operating system. That’s one of the changes the company announced this week with its new firmware for the Surface Pro 3 and its sister product, the Surface 3. The idea of taking your computer with you wherever you go is as old as the laptop. The notion of a computer so small it fits in your pocket — i.e. the “PC on a stick” isn’t novel either. So what makes the new Lenovo ideacentre 300 special? For one thing, the price. When it hits shelves next month, it will sell for $129. A major bank and an innovative financial technology platform are getting together to invest in fintech, a fancy name for financial technology companies. These are businesses largely centered around use of software for the delivery of financial services. The new partners are Santander Bank, a large North American lender, and London-based Monitise, an innovator in so-called mobile money. Small business owners are missing out on a potentially big piece of the action by not marketing to millennials, a key consumer demographic, according to a recently released survey. Only 15 percent of small businesses across all industries are marketing to millennials, the survey results reveal. A few months ago, I did a non-scientific survey on this site asking the following question of anyone who wanted to answer it: “What’s the best way to learn more about entrepreneurship?” I promised to present the results in a post. I’ve finally gotten around to doing that and have included the results below. Larger retailers like WalMart and Amazon have already made up their minds. They’ve decided to stop stocking the Confederate flag and related merchandise. The decision follows the tragic shooting of nine people, all black, in a predominantly African American church in Charleston, South Carolina, last month. Social media is becoming a more and more essential part of running a business. But it can also turn into a time consuming task. That’s the problem that management tool DrumUp is looking to solve. The company provides a social media management tool that is specifically designed to help businesses and professionals save time on their online marketing efforts. Each month SurePayroll produces its SurePayroll Small Business Score Card. And this month the company was kind enough to allow Small Business Trends to add some questions posed to small business owners and managers about their practices and policies for business travel. Could Facebook Video Be Serious Competition to YouTube? The rocky start of Facebook’s IPO has done very little to discourage the company from charging full steam ahead and going after its competitors. With its billion-plus users in its back pocket, the company has the confidence to challenge even the likes of Google and its video outlet, YouTube. Ron Gold was riding his bicycle in Northern New Jersey when an SUV struck him head-on without braking. The driver had fallen asleep at the wheel. And Gold, having just come around a curve, didn’t have enough time to change course. By all accounts, the accident should have killed him. But his active lifestyle before the accident essentially saved his life. Cafe Finds Perfect Location — In an Old Train Station? This cafe has a unique location — inside a nineteenth century train station. The Market Cafe is located in the sleepy little town of Topton in eastern Pennsylvania. When you visit, one of the first things you might notice are the two very active train tracks. The second would be the old train station that now serves as the cafe.